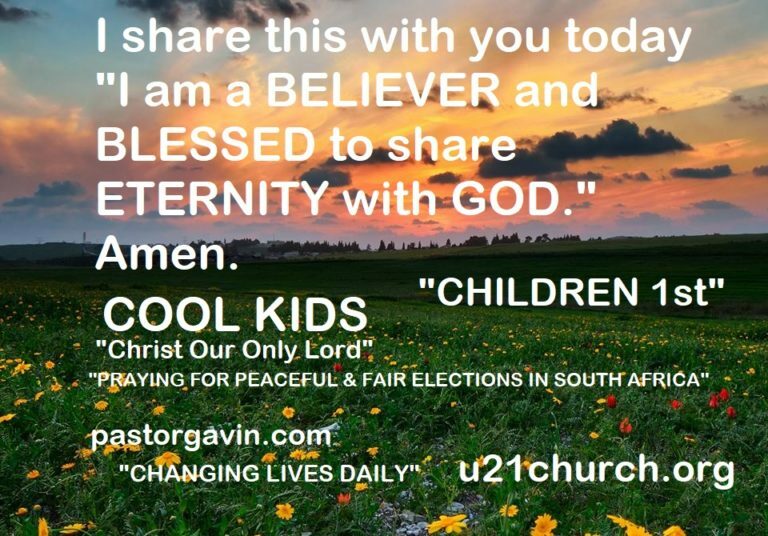 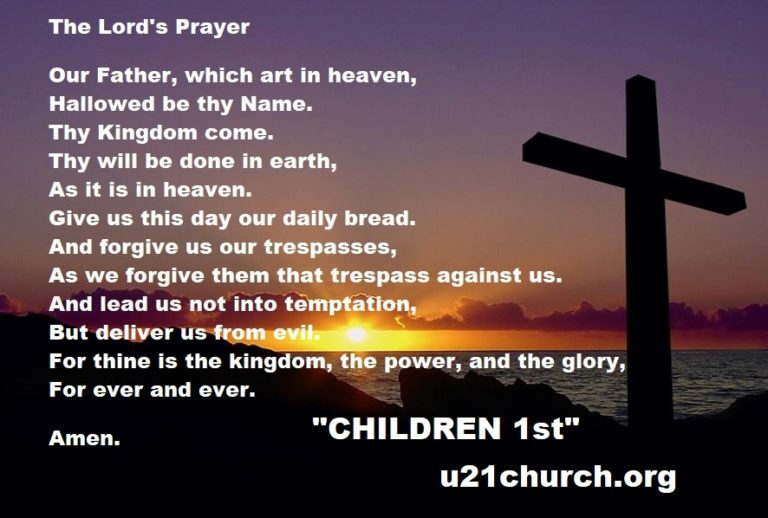 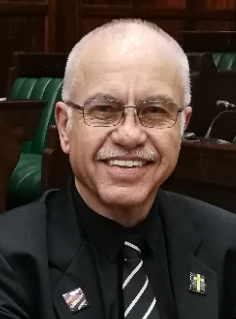 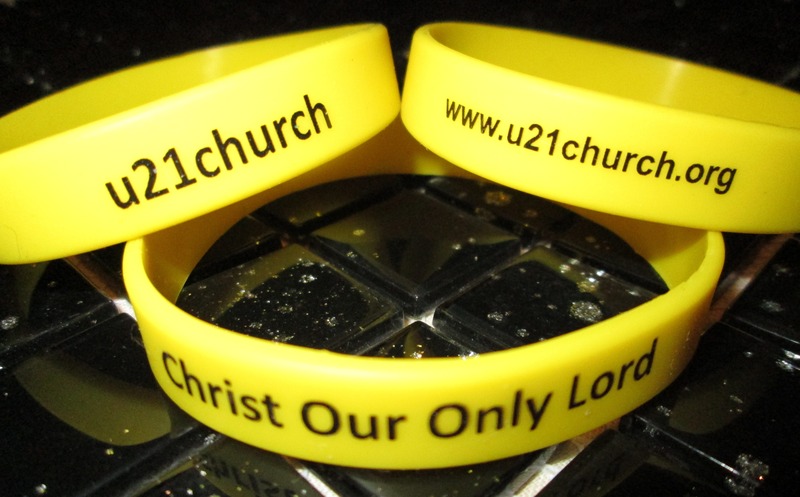 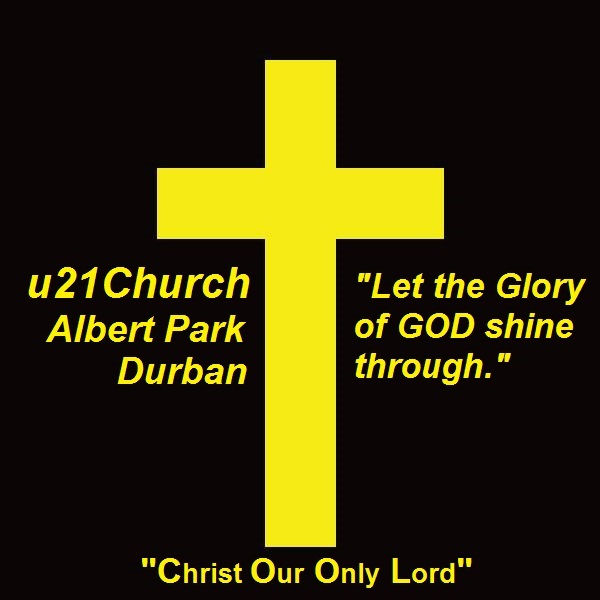 u21church.org – "Christ Our Only Lord KIDS"
Friends through our FAITHFULNESS we WILL be BLESSED by GOD. 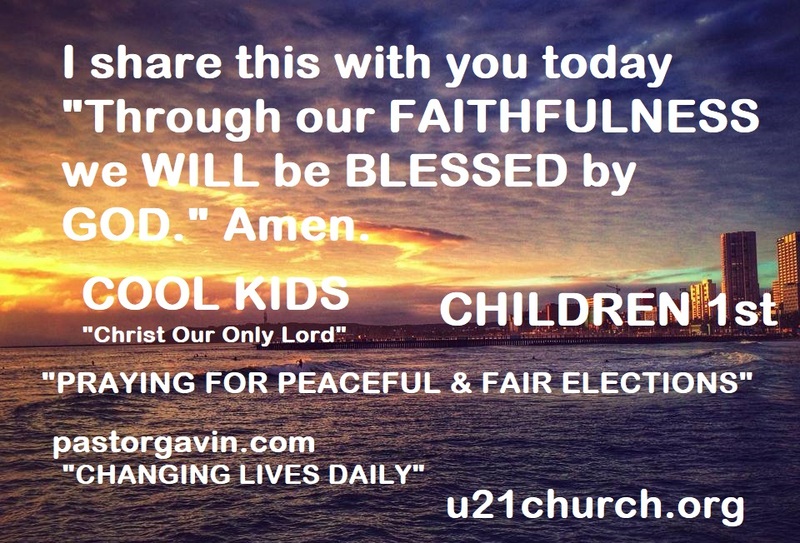 I share this with you today “Through our FAITHFULNESS we WILL be BLESSED by GOD.” Amen. Friends TRUST in the LORD and be BLESSED. 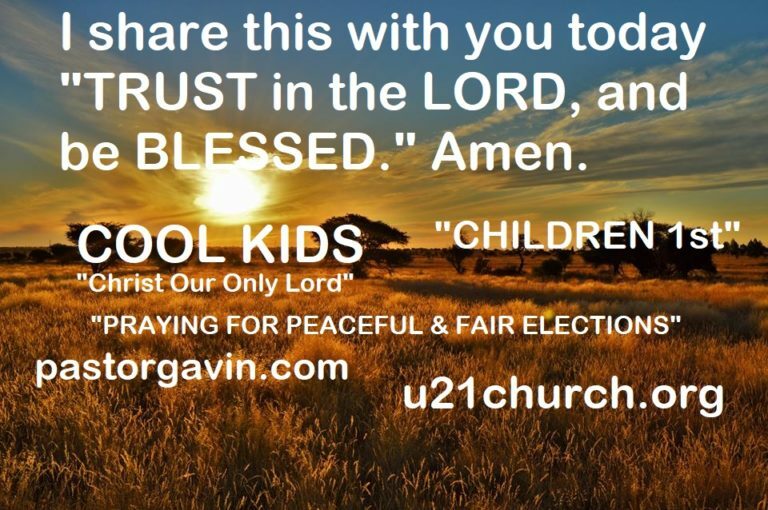 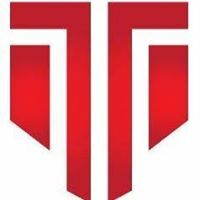 I share this with you today “TRUST in the LORD, and be BLESSED.” Amen.